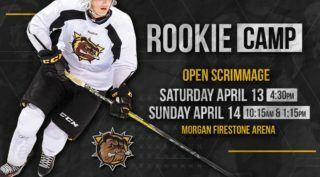 Two Hamilton Bulldogs prospects walked away with medals from the 2017 OHL Gold Cup which wrapped up Sunday in Kitchener. In the Gold Medal game, GTHL Red defeated OMHA Black 3-1. 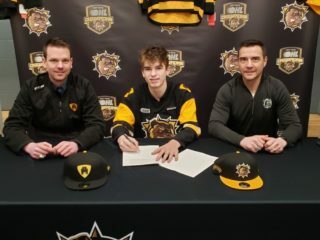 A member of the championship team was Bulldogs 4th round pick from the 2017 OHL Priority Selection Xavier Henry. The defenseman registered 12 penalty minutes in five games. A pair of Bulldogs draft picks battled in the Bronze Medal game as HEO edged OMHA White 3-2. Ford Ondrovic returns home with some hardware as a member of HEO. 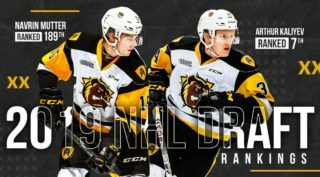 The Bulldogs 9th round pick from the 2017 Priority Selection finished the tournament with two assists. Hamilton’s 1st round pick from the 2017 Priority Selection, Connor McMichael was named the OMHA White player of the game after scoring a power-play goal in the Bronze Medal game. Overall a good tournament for McMichael who had two goals and an assist in five games. 1 assist and 8 penalty minutes for Team Alliance. 1-1 record with a 3.00 GAA and 0.851 SV% in 2 games for Team OMHA Blue. 1 assist and 6 penalty minutes for Team Alliance. 2 assists and 2 penalty minutes for Team Alliance. The OHL Gold Cup is an annual showcase event featuring the top under-16 talent in Ontario. 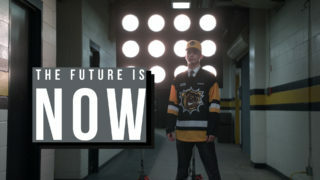 As part of the Hockey Canada Program of Excellence, select players from the OHL Gold Cup will be invited to attend the National Under-17 Selection Camp, where they will have a chance to compete with other top talent from across Canada, to earn a spot at the World Under-17 Hockey Challenge.